It’s Halloween Time at Disney California Adventure Park, and The Tower of Terror brings chilling frights to all who enter the spooky elevator on this thrilling ride. 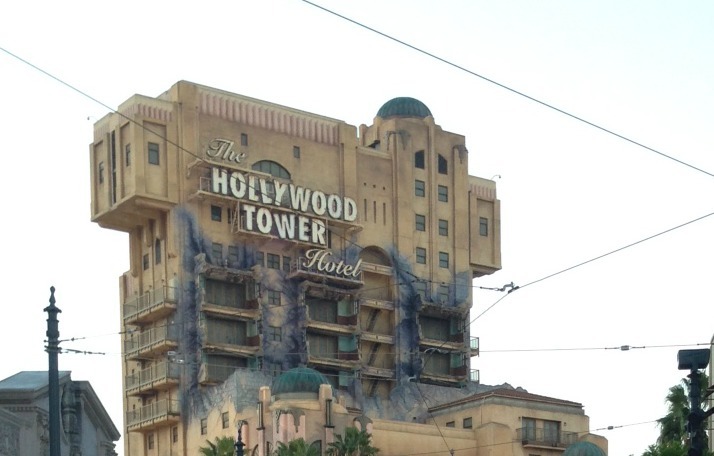 This attraction is one of the most popular rides at Disney California Adventure Park and features a frightening drop from the 13th floor of a 21-passenger hotel elevator. The Hollywood Tower of Terror is 183 feet tall, and is the tallest building in the city of Anaheim. The Hollywood Tower of Terror first opened its doors in 1928 and was mysteriously closed in 1939. On a stormy night, the building was struck by lightning, and five passengers fell to their doom as the elevator plunged. We went on the ride for the first time in search of these five passengers that according to Disney legend are trapped inside of the fifth dimension. Come with us, as we go into this abandoned hotel at Disney California Adventure Park, to see if we can find these five passengers lost in the Twilight Zone during Halloween Time at Disneyland.